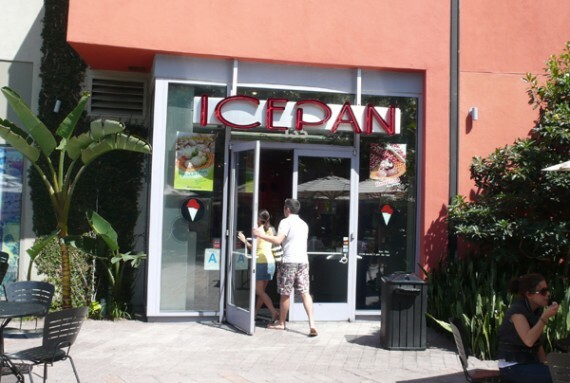 UPDATE 2011: this place has closed. 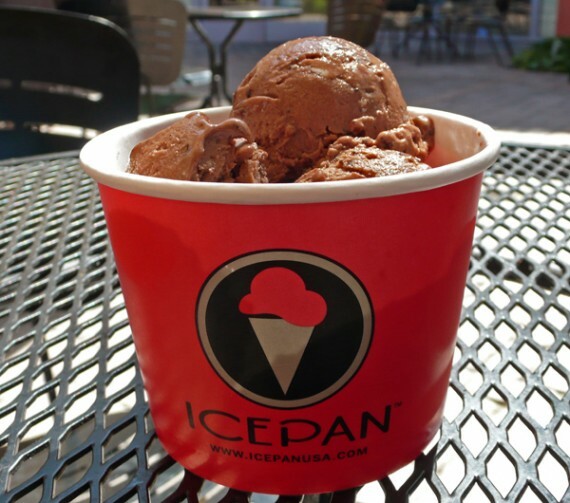 los angeles vegans with a big time sweet tooth, you need to pick yourselves up stat and head over to ice pan in west hollywood. the ‘natural’ and ‘nutritious’ ice cream parlor offers ten low sugar, low fat flavors with no added preservatives, all of which can be made vegan by choosing the soy milk option. i checked ice pan out over the weekend and ordered their nondairy chocolate ice cream with oreo topping, which did not disappoint. so let’s just review here: ten flavors of ice cream with a vegan option, tons of toppings to choose from, amazing taste and creamy texture, all made right before your eyes. oh and let’s not leave out the bit about it being ‘healthier’ than normal ice cream and having no artificial flavors or preservatives. 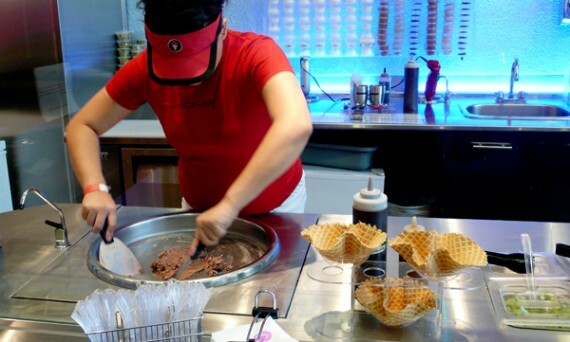 bottom line, i think you need to get down to ice pan right now and try out their vegan ice cream. you won’t be sorry. Mon-Sun. 11:00 a.m. – 10:00 p.m.